Mince pies produced by BBF have taken five of the top six spots in this year’s Which? mince pie taste test. Four respected bakers formed the judging panel, blind tasting more than more than 100 premium mince pies from 11 UK supermarkets, in search of the best mince pies on the market this Christmas. Asda’s Extra Special All-Butter Luxury Mince Pies, produced by BBF, took the top spot, with judges declaring a winning formula of “heavy fruiting combined with subtle spicing” and “a lovely, buttery aroma”. Currently priced at just £1.50 for a box of six, the Asda pies received a 71% score, with the panel scoring each pie out of 40 for taste, 20 for aroma, 20 for texture and 20 for appearance. Close on Asda’s tail were Lidl with their Deluxe Luxury Mince Pies, also produced by BBF, which received a score of 69%. A box of six costs £1.79 and judges were impressed by the textures of the mincemeat, the crisp pastry and an overall “pleasantly fruity taste”. A number of other BBF-produced mince pies pleased the judges’ pallets. Iceland took third spot with a score of 67% for their Luxury Mince Pies, M&S’ The Collection Mince Pies came fourth with 64% and Tesco Finest Mince Pies placed sixth with a score of 62% – all of which were produced in BBF factories. In fact, the only pie in the top six not produced by BBF were The Best Deep Filled Mince Pies from Morrison’s which came fifth with a score of 63%. The success follows news earlier this month that that BBF were awarded best Christmas cake and best celebration cake at the annual Quality Food Awards. The judging panel comprised of Dan Lepard, award-winning baker, food writer and broadcaster; Charlotte Marrifield, owner of Harrogate Cake Company; Kathryn Roberts, general manager of Bread Ahead bakery; and Patrick Moore, founder of More?, The Artisan Bakery and Cafe, Cumbria. 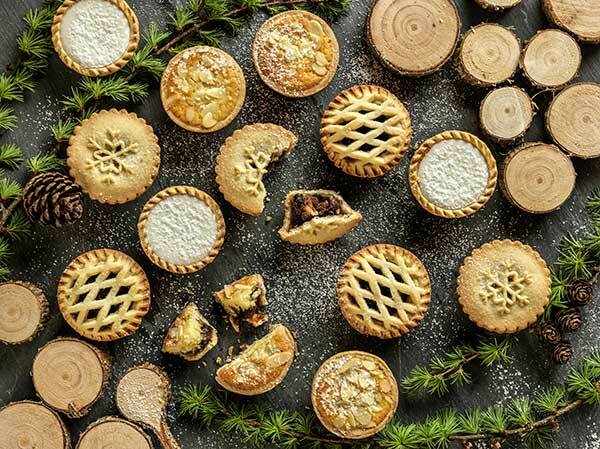 Asda premium mince pies, award, Christmas 2018, mince pies, Which?